BOOM contacted Mumbai Police who have denied issuing any such warning on social media. 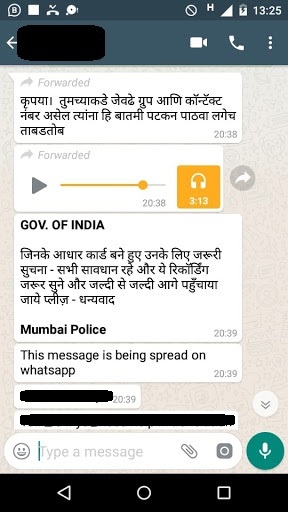 Speaking to BOOM, Manjunath Singe, DCP, Mumbai Police clarified that the particular message is not from them and that it was circulated by some individual person. The audio recording in Marathi, accompanying the text message, gives out the following details: A person will call you and say that they are from one of the mobile companies and that they have called for a verification of the Aadhaar card. The person on the other side will specifically speak in Hindi and will tell you to press 1 if you have an Aadhaar card after which they will ask you for your Aadhaar card number. The man in the audio claims that since everybody’s bank account is linked to their Aadhaar cards, they will ask you to press one more button after which you will receive an OTP. Once you key in the OTP, all the money in all your bank accounts that are linked with your Aadhaar card will be withdrawn. After which even if you try to call the number, you won’t be able to connect. Save yourselves from any such hoax calls and also save your relatives and friends from falling for such hoaxes. You can listen to the recording below. For a change, unlike other social media audio messages that often indulges in scare mongering, this audio recording is well intentioned and factually correct about fraudulent calls seeking your Aadhaar number. 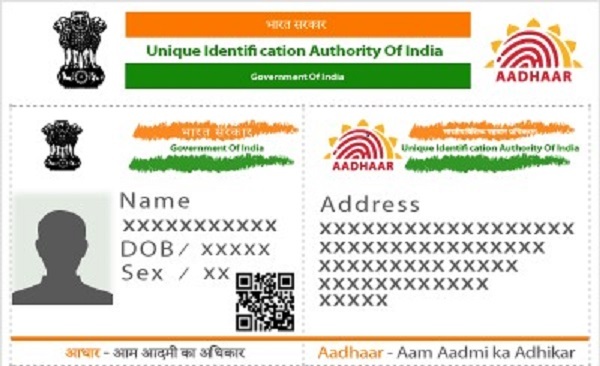 As a matter of fact, UIDAI has advised the citizens earlier as well about not sharing their Aadhaar Card number and other details on a phone call and to use only the official website or the pre-designated number provided by your bank/ mobile company for online Aadhaar verification, reported NDTV. While the Mumbai police does not have anything to do with the audio recording or the particular message viral on WhatsApp, Manjunath Singe said that they have been putting out other messages to spread awareness about such fraud calls and advising the common man to not fall for such fake calls. “People should not fall prey to such calls and give away any of their details whether it be bank details or Aadhaar card,” said Singe. Banks have also warned against sharing any account details or Aadhaar number on phone since their own employees are not allowed to seek sensitive information like card details, internet banking passwords through phone or email. This warning was issued by large banks like SBI, after senior citizens reported that they were targeted by such fraudulent calls.